Yes, you read that right… Justin Timberlake will hit the Eurovision stage this Saturday night. But not as a contestant. According to a press release from Sony, “for the first time in the competition’s history, a non-contestant” will perform on the Eurovision stage. Said non-contestant, of course, is global superstar Justin Timberlake. And the song is JT’s infectious new single ‘Can’t Stop The Feeling’ which has a Swedish connection of its own. Justin will perform as an interval act as part of Saturday’s Grand Final (showing live early Sunday morning on SBS and again in prime time on Sunday night). Justin’s new single, lifted from the soundtrack to the forthcoming Dreamworks film ‘Trolls’ has been a permanent fixture in our iTunes top five since its release late last week. 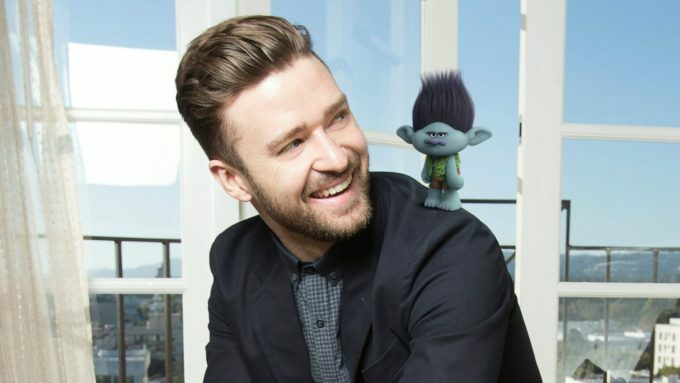 The clip of him playing the song to his ‘Trolls’ castmates has been viewed more than 11.5 million times in five days.